order_thru_the_phoenix has no other items for sale. 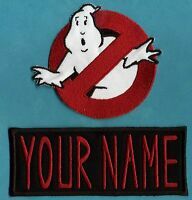 CHILDS Custom Ghostbusters 1 Name Tag Patch with HOOK backing - "YOUR NAME"
Custom Iron On Ghostbusters 2 Style Embroidered Name Tag Patch - "YOUR NAME"
Custom Ghostbusters 1 Name Tag Patch with a male/HOOK backing - "YOUR NAME"
I am not responsible for any taxes or holds that your country should apply. No refunds and please verify your mailing address before purchasing, for I will not refund any monies for items being sent to the incorrect address.